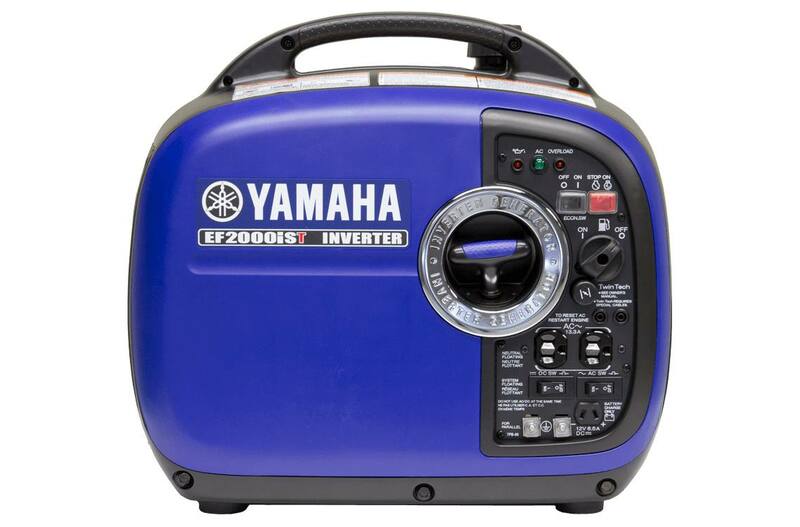 Quiet, durable and convenient, the new Yamaha EF2000iST is designed for anyone seeking an ultra-portable source of electricity. The new "T" version, based on the popular EF2000i, has the special ability to "twin" two units together. Weighing only 21 kg (46 lbs.) and featuring an extra-large handle for easy transport the EF2000iST is ready to deliver clean, quiet power wherever and whenever you want it. More power: Looking for more power but still want excellent portability? Connecting two EF2000iST inverter units together will provide 3000 watts and 25 amps of clean power well suited for running items that use micro-processors like a laptop computer or TV. 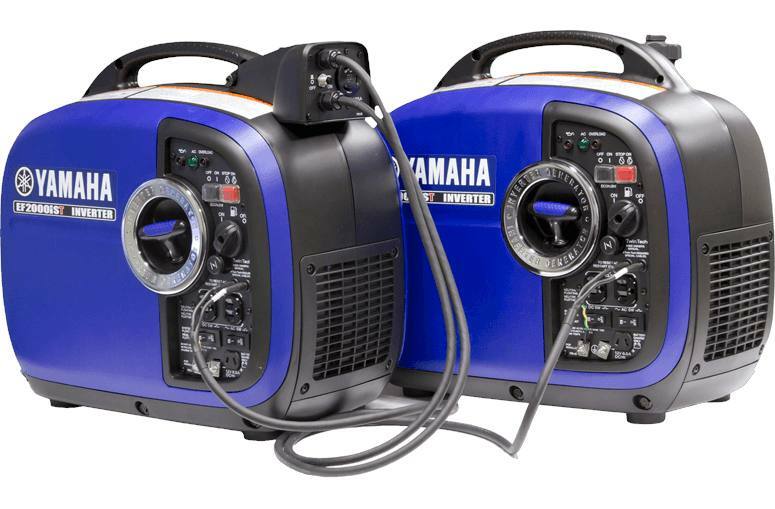 When "twinned" with another EF2000iST rated AC output for continuous use is 3,000 watts / 25 amps. (note: requires accessory parallel terminal kit available at extra cost (part number: 7PB-H5579-80-00).